In a Nutshell: Managing your money is key to achieving your financial goals, but it’s important to have the right tools for the job. With a focus on financial calculators and conversion applications, The Calculator Site is a free resource that allows users to do things like determine the compound interest on savings and calculate loan repayment schedules. These easy-to-use resources allow you to spend less time adding, subtracting, and multiplying, and more time planning how to save and invest wisely. 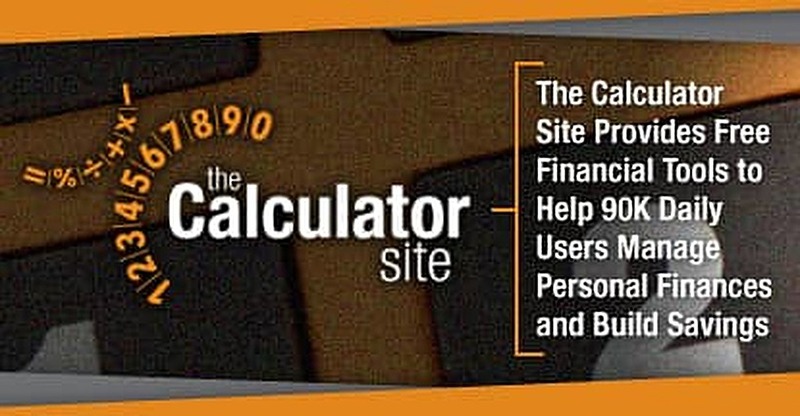 The Calculator Site has grown in popularity over the years and now helps 90,000 daily users manage their money and save. How you manage your money can have a profound impact on your future, but basic math knowledge and a standard calculator won’t necessarily get you very far if you’re not a whiz of a number cruncher. When founder and UK-based entrepreneur, Alastair Hazell, first launched The Calculator Site in 2004, he considered it a fun hobby. He’d been running another website he’d built, and The Calculator Site was primarily intended for use as a basic conversion tool in the beginning. Ultimately, however, it became most popular among its users for its financial calculators. Alastair Hazell, Founder of The Calculator Site, adds new tools to the site based on user feedback. 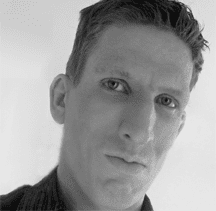 “I started out basically with the conversion tools for people who wanted to convert between units of area or volume, or mass and weight, to provide a functional tool that people could use very easily to efficiently look up and get conversions,” Alastair said. Once Alastair discovered that a large portion of his visitors were using the resource for financials, he began to incorporate more calculators that would help them manage their money with several currency options. Today, the site features several hundred calculators — many of which Alastair added as a product of user feedback — and the site has received additional interest because of it. The popularity of the site comes as no surprise. The information and resources available online have simplified and encouraged the process of learning to do everything yourself, including managing your finances. It begins with understanding your unique financial situation, and once you have a solid grasp of your financial goals, The Calculator Site can be a useful resource in helping you and 90,000 other daily users calculate credit card payments, interest, and savings goals. When you first visit The Calculator Site, you’ll immediately discover what Alastair says are two of the most popular tools on the site — Compound Interest Calculators and Savings Calculators. The easy-to-navigate site contains groupings of calculators, and you’ll notice that these are located in a section dedicated solely to Financial Calculators. The financial section of the site also has calculators for Credit Card Payments that help you measure how many months it will take to pay off a card based on factors like monthly payments and interest rates. Another one assists you in determining how much you should pay each month to pay off your balance entirely within a set time period. Among the Financial Calculators on the site are ones for compound interest, loans, and credit card payments. The Loan Calculators on the site help users determine figures for repayments on student loans, personal loans, and other credit repayments. You can use these calculators to break down your repayments and to understand how long it will take you to pay off your loans. These calculators are similar to the Credit Card Payment calculators. They help you see the bigger picture with your finances so that you can allocate funds properly when setting up your long-term savings goals. One of the reasons why people turn to The Calculator Site is because Alastair engages with his audience and encourages feedback that drives product development. He makes sure to include tools that his visitors will actually use. If you visit the Contact Me page on the site, you’ll discover a field for all of your questions or comments. On the right side of the page, you’ll also find a log of calculator updates so you can see the most recent updates to the site and whether the addition came from user suggestions. Math is not a subject that comes easy to everyone, but you’re not going to escape the importance of numbers when managing your finances. A good savings plan starts with a solid budget and a thorough understanding of the numbers. You can start making your money work for you now by setting realistic financial goals, setting up a plan, and gearing up for success. With hundreds of calculator and converter tools, the Calculator Site can be greatly beneficial for those trying to plan their own finances. And Alastair’s hands-on approach to improving the site based on feedback means that helpful tools are constantly being added, including the upcoming release of a mobile application.